You must stop at a yellow traffic light unless it is unsafe to do so. A yellow traffic light is not an extension of the green light. It is the beginning of a red light. As you approach a traffic light, check your mirror to see if there is a vehicle close behind, so you will know if it will be safe to stop suddenly. The road rules refresher can help make you aware of gaps or misunderstandings in your road rules knowledge. 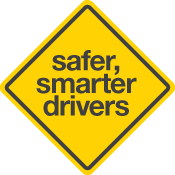 You can use the free, easy to use tools available on this page to refresh your basic road rules knowledge and be a smarter, safer driver. Road rules are developed for your safety. Make sure you know and follow the road rules at all times. Do you know the road rules? Here are a number of common road rules that are misunderstood by many motorists. Watch the videos below and see if you've got the rule right. The road rules refresher pocket guide outlines some of the most commonly misunderstood road rules. The pocket guide is available from Service SA, public libraries etc…or you can print a copy here. Think you know the road rules? Try this quick road rules refresher quiz to check your road rules knowledge. The Driver's Handbook is the road rules handbook for all South Australian drivers, including learner drivers. It is designed to support all road users and contains essential information about the South Australian driver licensing system, road rules and useful road safety tips. South Australian road rules and most driving offences are covered by the Road Traffic Act 1961 and in regulations made under this Act, such as the Australian Road Rules 1999. Amendments to road rules generally involve minor clarifications. Click here to see recent South Australian road rule amendments. 25km/h Emergency Services speed limit"
Drivers are now required to travel at 25km/h when driving through an emergency service speed zone. New laws for drivers when passing a cyclist and cyclists of all ages can ride on footpaths.